Everything around you is quiet and still. Relax and reflect in complete calmness, in serenity. To experience a purifying journey of mental and emotional state here. SERENITY ABOVE exhibition features two internationally-renowned artists, Shunmyo Masuno and Zheng Chongbin, to explore the art of serenity. With the pursuit of enhancing the appreciation of tranquil life within the metropolis, this exhibition takes you on a journey to discover the essence of calmness through Masuno’s five stones and Chongbin’s ink paintings. REGISTER NOW for a premium gift and the SERENITY ABOVE Catalog provided at the exhibition. 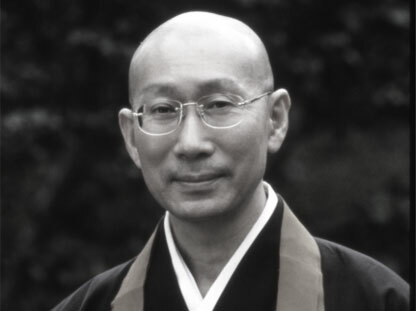 Shunmyo Masuno is both an 18th-generation Zen Priest and a leading landscape designer. Celebrated for his ability to blend traditional design with contemporary details, Masuno has created spiritual gardens around the world that guide hearts to reach the inner self. His art —five stones— embodies nature in the sense of Mountain, Water, Existence, Purity and Sound. With the most careful craft to demonstrate the fundamental beauty, Five Stones convey the harmonic rhythm of nature that purifies souls. 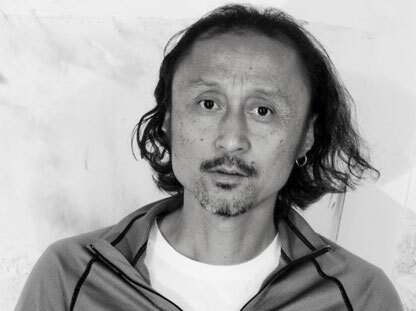 The Chinese artist Zheng Chongbin produces vast and sculptural ink paintings exhibited around the world. He goes beyond mere material, using ink as the media to reveal physicality and phenomenology of the art by addressing scale and mass. His two recent art pieces, The Light of the Day and Season Breeze, transform natural elements from elusiveness into tangible mass, generating perceptual resonance that engulfs audience into a space of sensation, illusion and concrete. His arts sublimate souls beyond substance, to connect with nature and reach a higher level of serenity. 183 Queen’s Road Central, Sheung Wan, H.K. Please read this Statement to understand your rights under the Personal Data (Privacy) Ordinance and the choices you can make about the way your personal data is collected by us. Please note that it is mandatory for you to provide the personal data (as described below) for the purpose of gift redemption at the SERENITY ABOVE exhibition. The personal data, namely your name, email and mobile number, provided by you to us (New World Development Company Limited) will be used by us for the purposes of: (i) communicating our news and information; (ii) advertising, marketing, public relations and direct marketing from us in relation to properties, household and home-related service, art and culture, nature and environment, social networking, media and high-end consumer products (collectively “Products & Services”); (iii) research and development in relation to customer behavior; (iv) identification; and (v) information and database administration. We may engage agents, contractors, suppliers and service providers and any person to whom disclosure of your personal data is necessary in order for us to validly effect, manage, administer and/or enforce any services or transactions requested or authorised by you for the purposes specified above and may transfer to or share your personal data with them for such purposes to the extent permissible by law. From time to time, we may use your personal data to send you news, offers, promotions and joint marketing offers about the Products and Services, but we cannot do so without your consent. Please therefore indicate your consent by ticking the relevant box at the end of the Registration Form before submitting such Form. We may also share your personal data with our joint venture partners, marketing partners and co-branding partners for the purposes of marketing to you the Products and Services provided by us jointly, or by them solely, but only if you agree to our doing so by ticking the relevant box at the end of the Registration Form before submitting such Form. I hereby confirm that I have read and understood the Personal Information Collection Statement of New World Development Company Limited (“NWD”). I would like to receive news, offers, promotions and joint marketing offers from NWD and consent to the use of my personal data for this purpose. I would like to receive news, offers and promotions from the joint venture partners, marketing partners and co-branding partners of NWD and consent to the use of my personal data for this purpose. New World Development Company Limited 2014. All Rights Reserved.